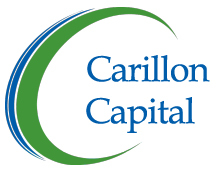 Ed is responsible for the development of new relationships for Carillon Capital and its affiliated companies. During a 36 year career working for banks and specialty finance companies, Ed has been a leader in middle market commercial lending and direct/indirect consumer lending. His experience spans product management, strategic planning, sales/sales management, risk management, credit operations, and P&L management. Since 1995, he has run specialty finance businesses for Bank of Boston, Deutsche Bank, E*TRADE Financial, GE Capital, and Ally Financial. In addition to leading these dynamic operating businesses, Ed has executed on over $7 billion in whole loan sales. He holds a B.A. in Accounting from Villanova University and an M.B.A. from Long Island University.